Measure the impact of your strategy with social media analytics. Leverage actionable insights to drive real business results and easily share data across the business. Access competitive insights and benchmarks to outperform your competitors. 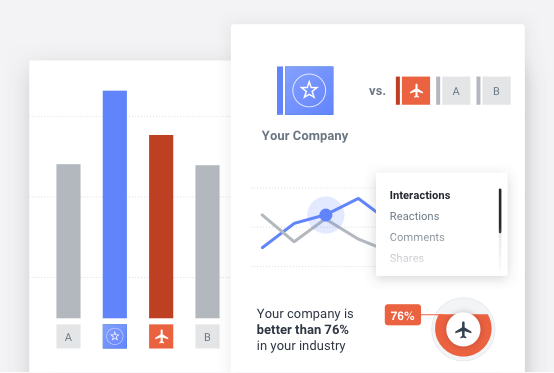 Uncover your company's strengths and weaknesses with social media analytics you can use at scale. Report on your results and analysis at the click of a button. Get the context you need and benchmark your performance against your industry, region or country. 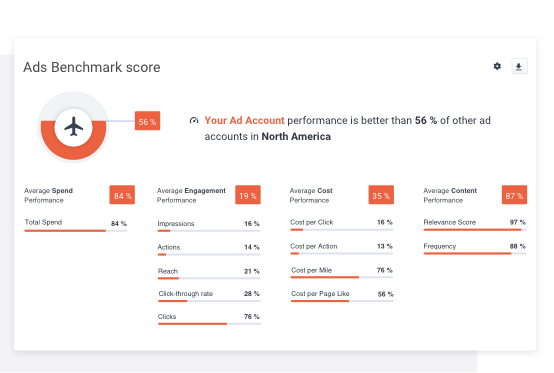 See how smart your strategy is across key metrics such as total ad spend, advertising engagement, ad costs, and content performance. 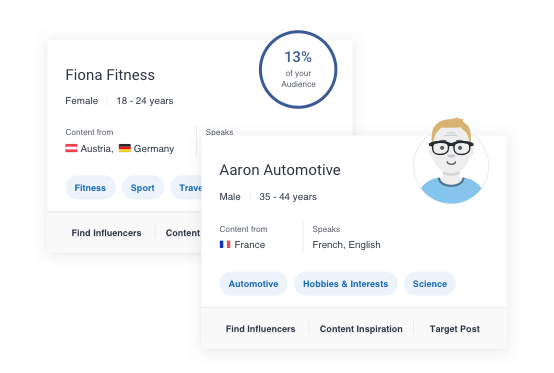 Consolidate your digital audience data in one place and have AI generate persona profiles you can rely on. Create personalized content that resonates with your audience segments and use social media analytics to analyze and report on your results. 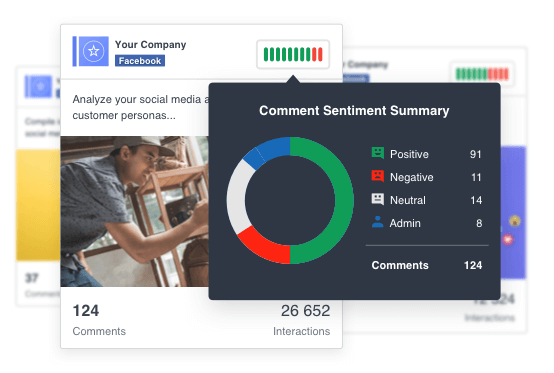 Analyze your business performance across social media platforms. 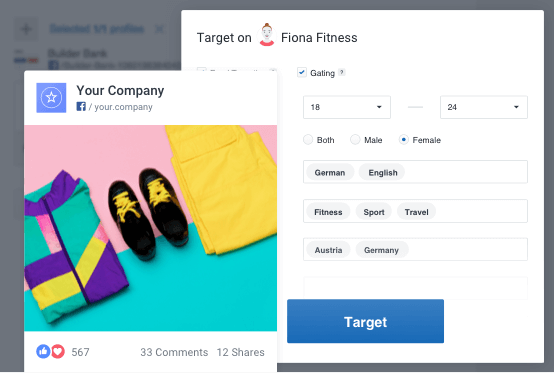 Create head-to-head Facebook and Instagram comparisons to see how your strategy compares to your main rival, or compare up to 10 pages to see how you fit into the bigger picture. Easily understand the feelings and emotions your audiences have towards your campaigns and analyze the sentiment behind them. Identify the content people love and use this data to build a strategy that brings even more results. Get exactly the insights you need to understand your content performance - all at the click of the button. 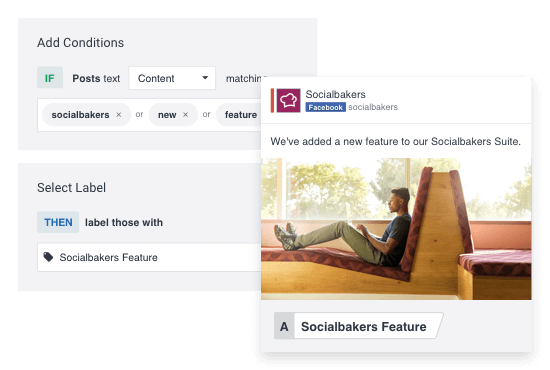 Save time and resources by automating the tedious task of labeling everything you post with rule-based labels and shorten your social media content analysis to seconds. Track and report on your progress with ease. Get updated with customizable dashboards equipped with third-party data integration that you can export in one tap from mobile. 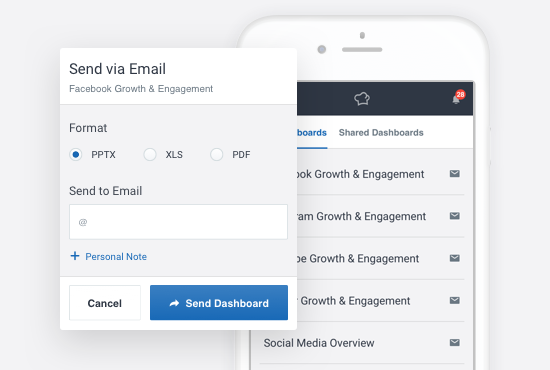 Keep your teams up to speed through automated reports sent straight to their inbox. 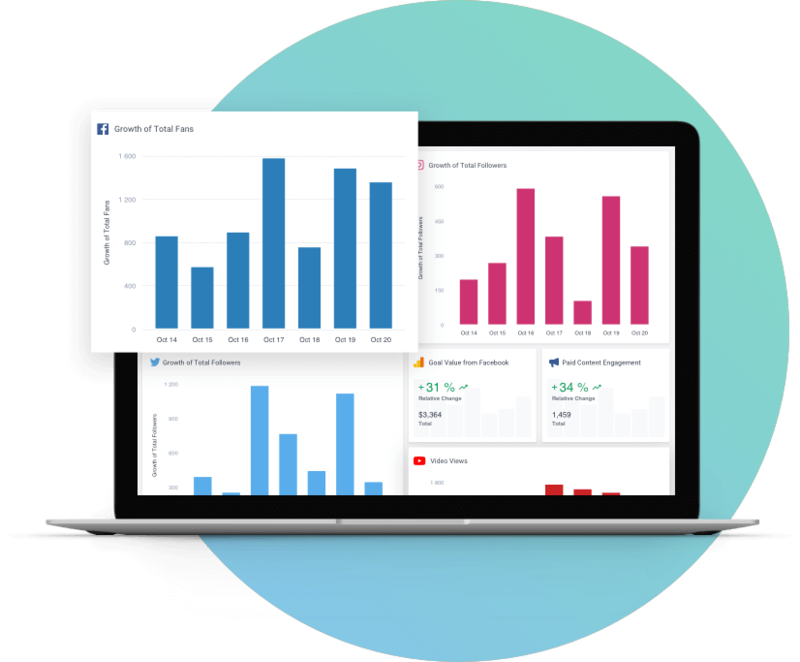 Analyze your content performance and monitor KPIs across Facebook, Instagram, Twitter, Pinterest, YouTube, and LinkedIn using a single platform. Stay ahead of the game by comparing your performance against the competition.